Today we are opening up DigitalOcean Kubernetes to everyone! Over the last few months, we have been inspired to see more than 30,000 developers use our platform to learn Kubernetes and deploy web applications, microservices, CI/CD pipelines, IoT applications, blockchain-based services, CDNs, VPNs, and many types of APIs. We designed DigitalOcean Kubernetes to be a powerfully simple managed Kubernetes service. All you need to do is define the size and location of your worker nodes while DigitalOcean provisions, manages, and optimizes the services needed to run your Kubernetes cluster. Setup takes just minutes, and we provide a Kubernetes endpoint that you can use with any tools you’d like, from the standard kubectl command line interface (CLI) to the rich and growing ecosystem of Kubernetes services. All DigitalOcean users will now find Kubernetes available on their Control Panel. If you are new to the service, just enable yourself and walk through the guided configuration to choose the number, size, and location of your worker nodes. Once provisioned, download your cluster configuration file to use with the kubectl CLI, and start deploying your containerized applications. 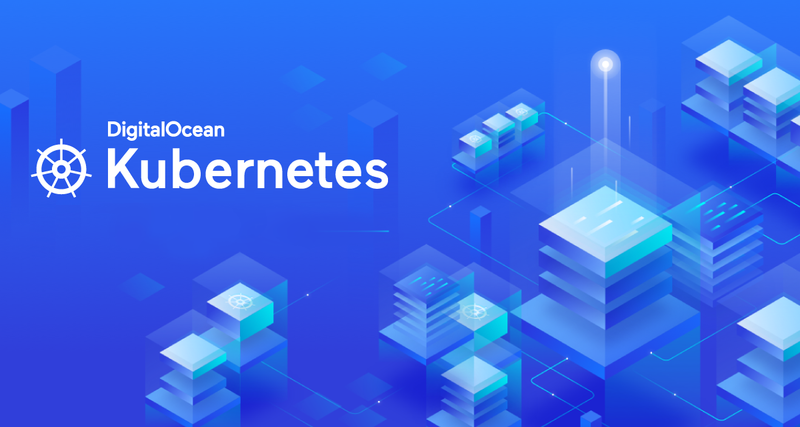 DigitalOcean Kubernetes is available using the latest version of Kubernetes, v1.12.3, and integrates with existing DigitalOcean products, including Block Storage and Load Balancers, so that you can reliably scale your persistent storage and incoming traffic. In addition we have just released support for DigitalOcean Kubernetes in the DigitalOcean API, making it easy to create and manage your clusters through our API. One of the key benefits of Kubernetes is the ability to use resources more efficiently, packing containerized applications into worker nodes that have available capacity. This provides cost savings and enables developers to run applications with minimal unused resources. We are making Kubernetes even more cost effective by providing the basic Kubernetes management services to our users at no additional cost. Pricing for DigitalOcean Kubernetes is based only on the underlying resources that you use (Droplets, Block Storage, and Load Balancers). Each Kubernetes cluster now starts with two Droplets of your choice, with the same simple pricing available today for Droplets. You also have the option to add Block Storage at the standard rate of $0.10/GB per month, and Load Balancers at $10 per month. Since announcing DigitalOcean Kubernetes, we’ve listened to what our customers wanted most. With the May 2018 early access release, we focused on simplifying the most critical needs of developers when deploying Kubernetes containerized apps: node provisioning, durable storage availability, security, and scalability. Today’s announcement is a continuation of that journey. We have many more features coming to DigitalOcean Kubernetes and are working hard to bring a private and integrated container image registry, Kubernetes cluster metrics, new global regions, Role Based Access Control (RBAC) integration with Teams, Network Policy support, autoscaling, and automated Kubernetes version upgrades. Stay tuned for more news in the coming weeks and months! Let us know your thoughts and any questions you have in the comments below. Also, if you’re attending KubeCon North America this week, December 10 to 13, in Seattle, please stop by and visit us. We would love to meet you and show you a demo. We are located in Hall 4AB on Level 4, Booth Number P10. Andrew Kim’s talk, “Towards a Vendor Neutral Kubernetes,” on Tuesday, December 11 from 10:50 am - 11:25 am in Ballroom 6A. Andrew is a co-chair of the SIG Cloud Provider and will dive into what the community has been doing to move towards a vendor-neutral model with sustainability and portability as a top priority. Tim Simmons’s talk, “Adopting Prometheus The Hard Way,” on Wednesday, December 12 from 3:40 pm - 4:15 pm in Venue 606-609. Tim will discuss learnings from scaling the adoption of Prometheus within your organization and the importance of fostering an Observability culture.